The Jundac Two is a high-end 24bit non-oversampling digital to analog converter. It integrates four inputs: S/PDIF or AES/EBU, an optional external clock and stereo fixed analog output. A non oversampling DAC don't use any digital filter. Data coming from CD are directly converted to analog; there is no coloratura introduced by digital filtering, noise shaping or dithering. Before output, the signal is smoothed by a sweet first order low pass filter. To reach best listening quality, it can be coupled to an external low jitter clock. 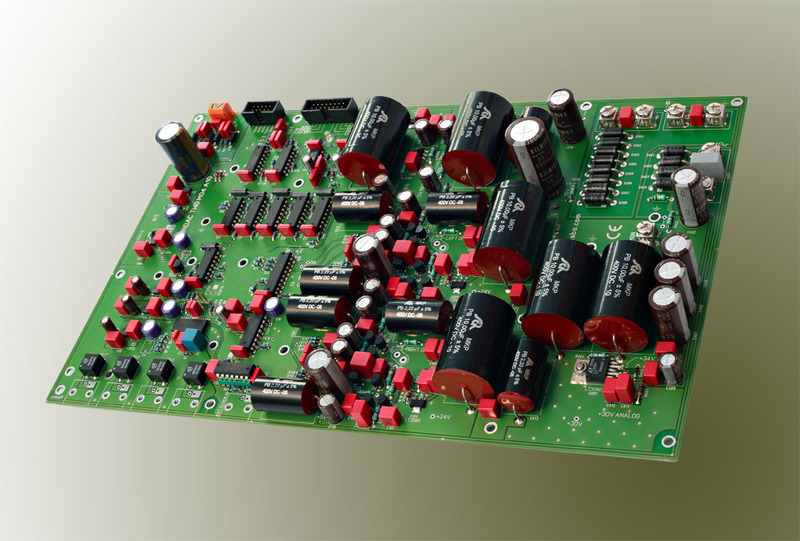 Power supplies in a DAC are critical to the overall design. 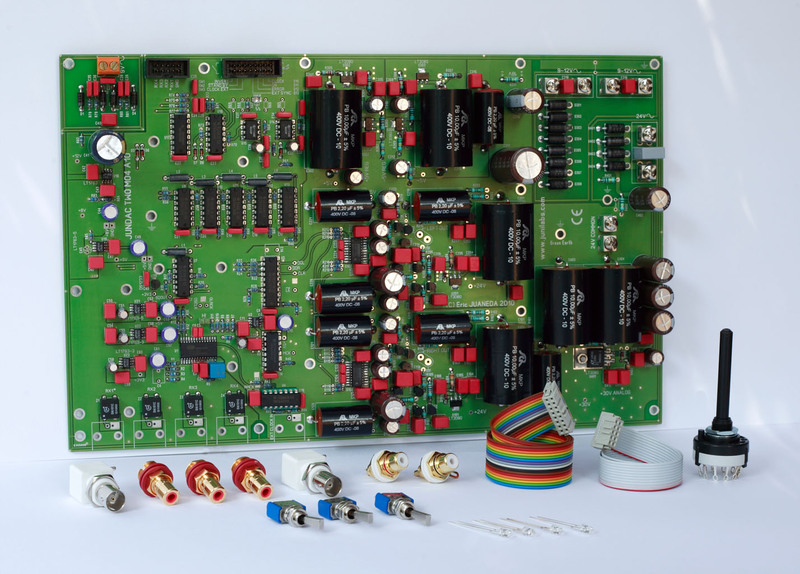 The Jundac Two uses thirteen very low noise separate regulators. These power supplies use polypropylene capacitors and three separated power transformers. To achieve the full music extraordinary sonic attributes, we recommend using 200VA to 300VA power transformer for analog section. These two transformers powers the DAC stage and the analog section (I/V converter and low pass filtering). + 30€ for shipping cost. The Jundac Two is available as end-user product in aluminum chassis box with managed vibrations, 5 years warranty and other innovations.